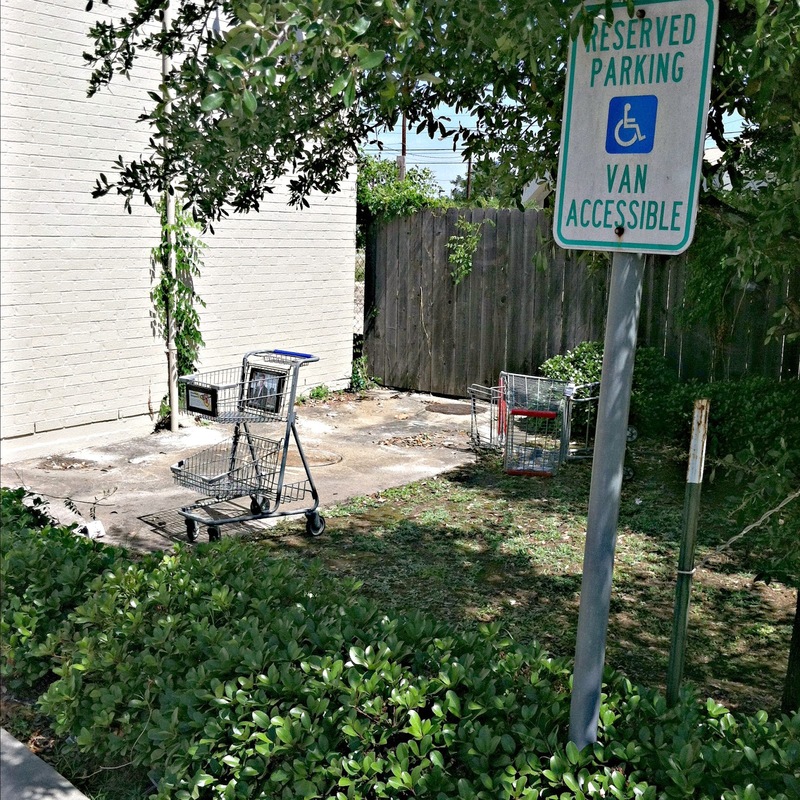 As I went for a run through the Heights a while ago I noticed a somewhat out of place sight; an HEB shopping cart sitting along a sidewalk at 17th Street and Rutland Street. 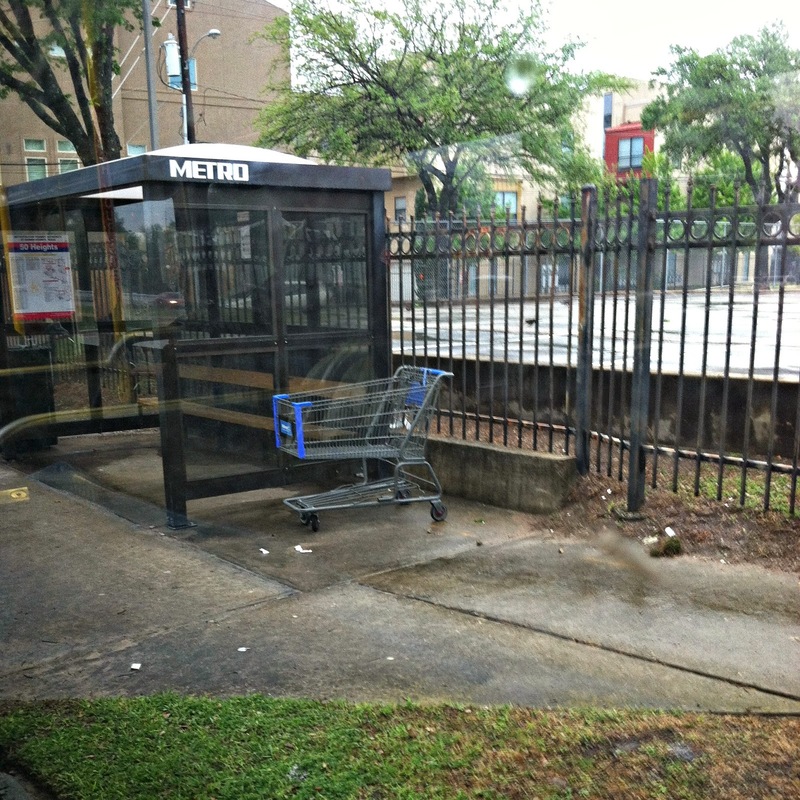 Much to the chagrin of Heights residents and native Texans, there is no HEB close by. 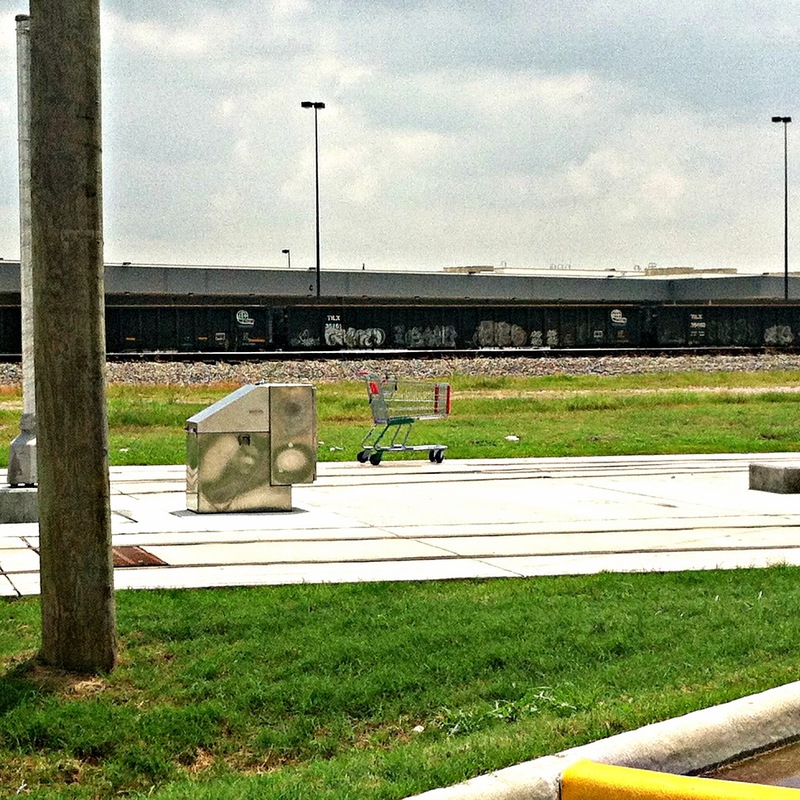 And, judging from first and second-hand accounts, the HEB at 18th Street and T.C. Jester leaves much to be desired compared to the chain's Montrose location. 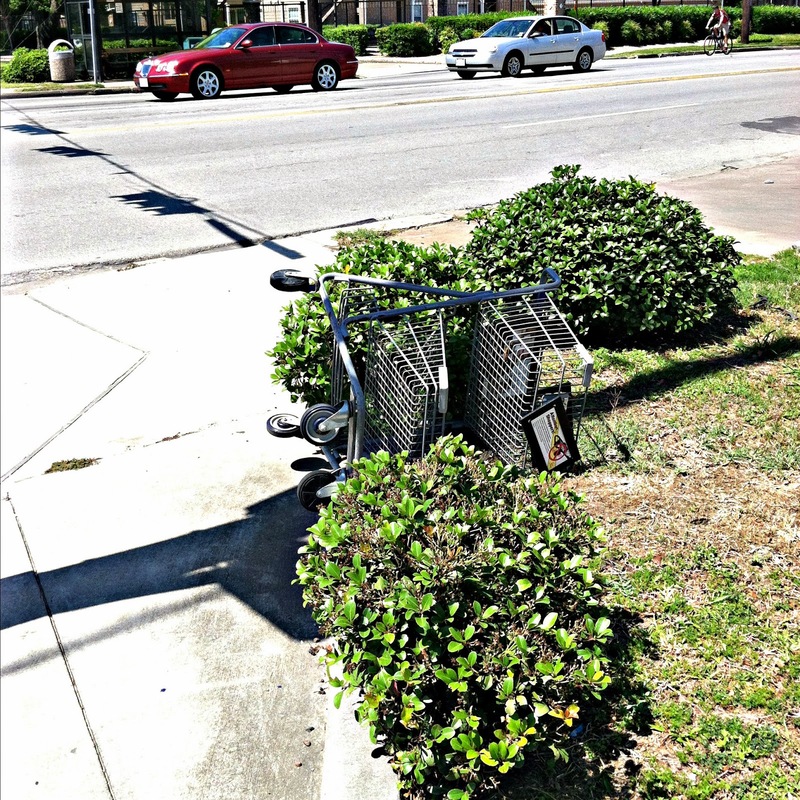 I am guessing that this cart wandered from the 18th Street location, which means it traveled just under two miles to get there. 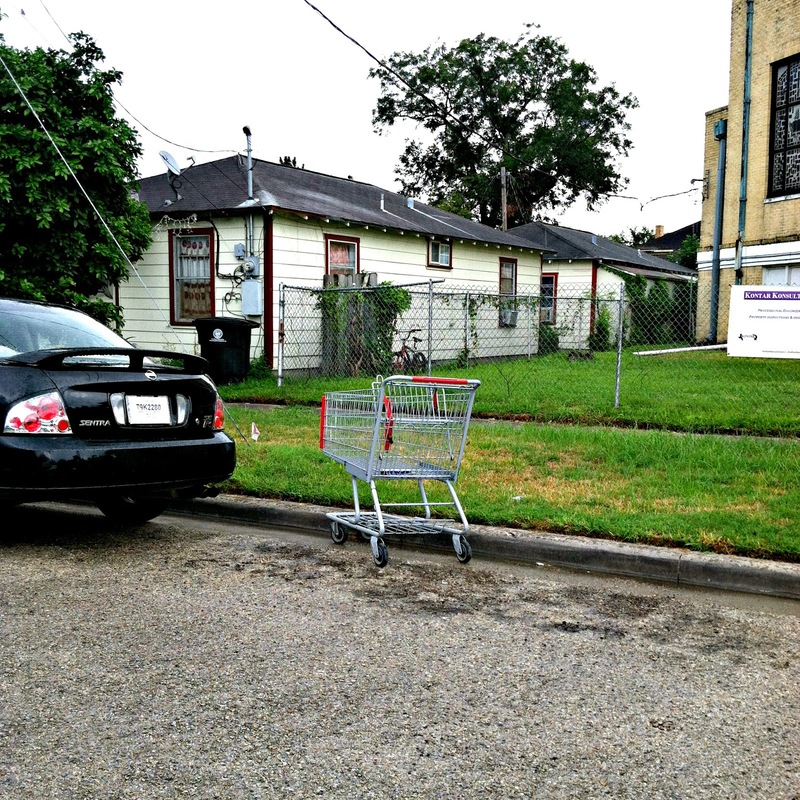 After seeing this cart in the Heights, I now have a heightened lookout for other shopping carts as I traverse Houston. "How'd it end up there? ", "What store is it from? ", "How close is that store from here? ", "How far might it have traveled?" and "Who left this here?" 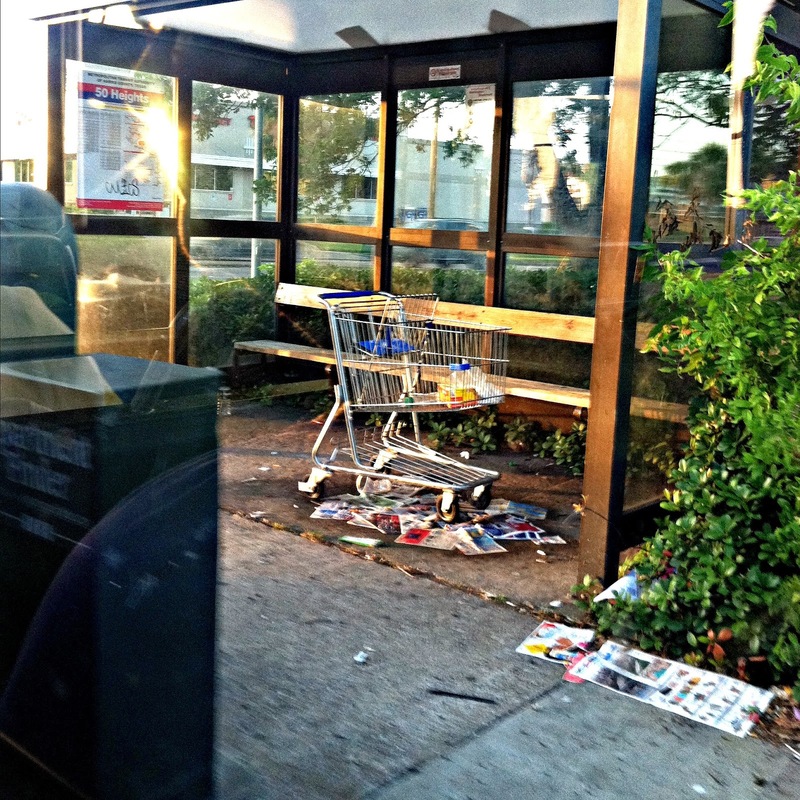 are all questions that come to mind when seeing these abandoned buggies. 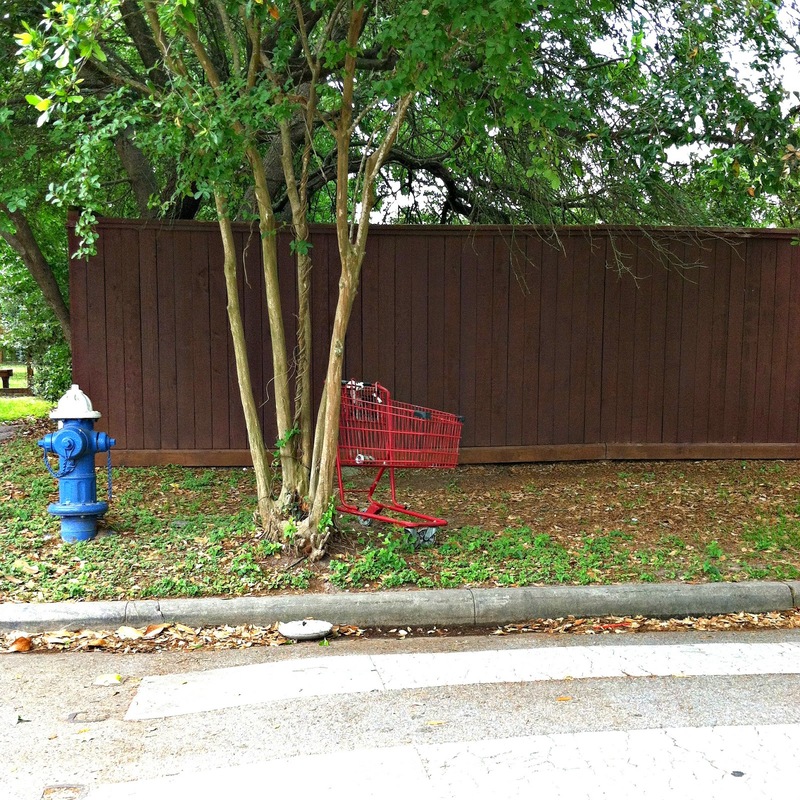 These stolen and abandoned shopping carts have been the topic of complaints here in Houston before, ending up in front of people's homes or left on neighborhood sidewalks or public spaces, and dumped in ditches, or into Houston's bayous. 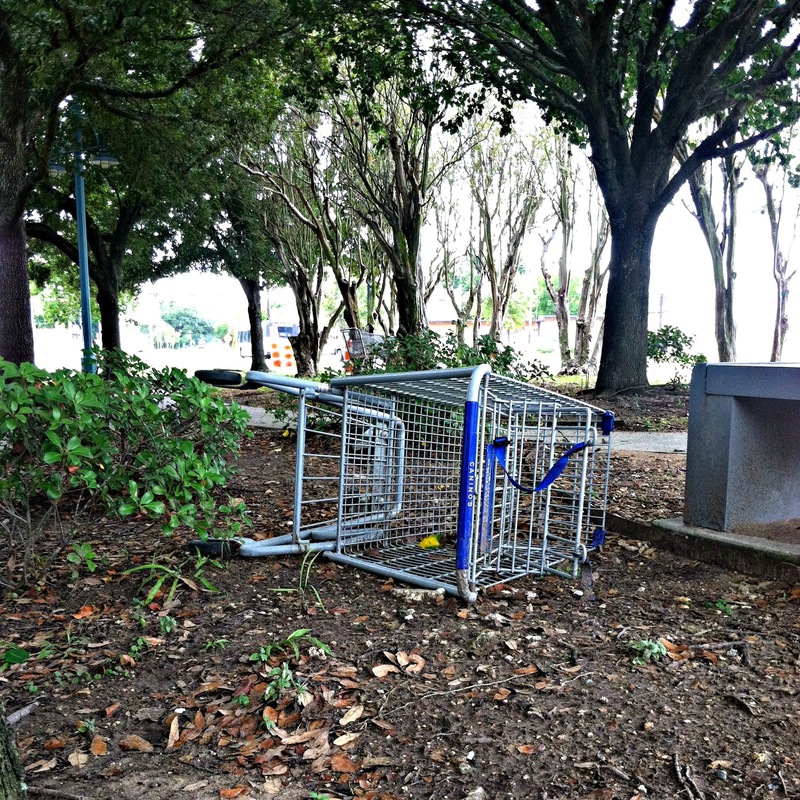 One author has made a comical field guide identification book highlighting The Stray Shopping Carts of Eastern North America, in the style of a book that someone might take birding. 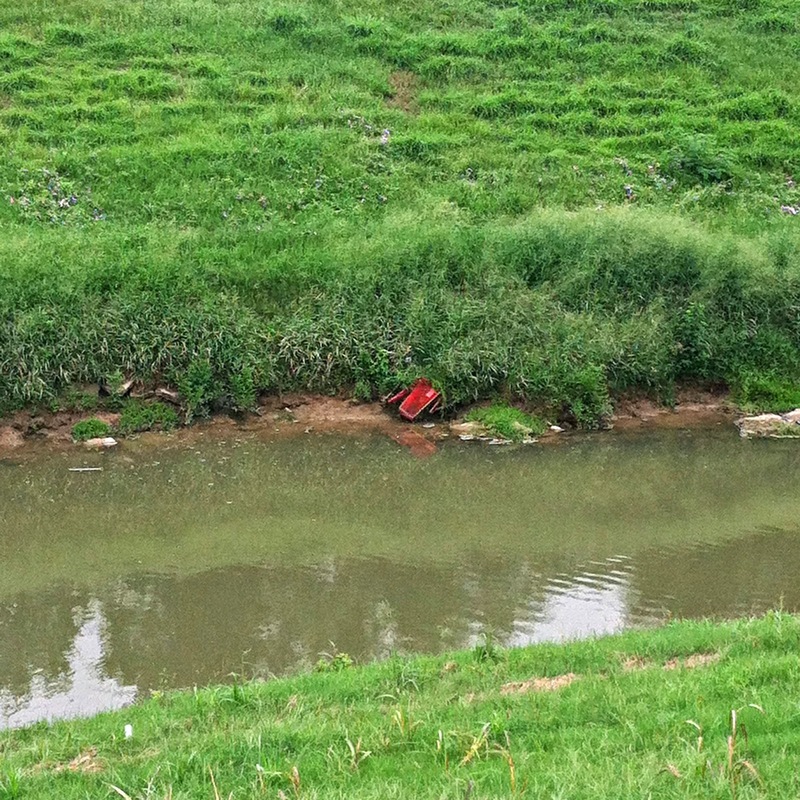 Instead, this is used on trips through North America's urban and suburban landscapes to identify cast away carts. 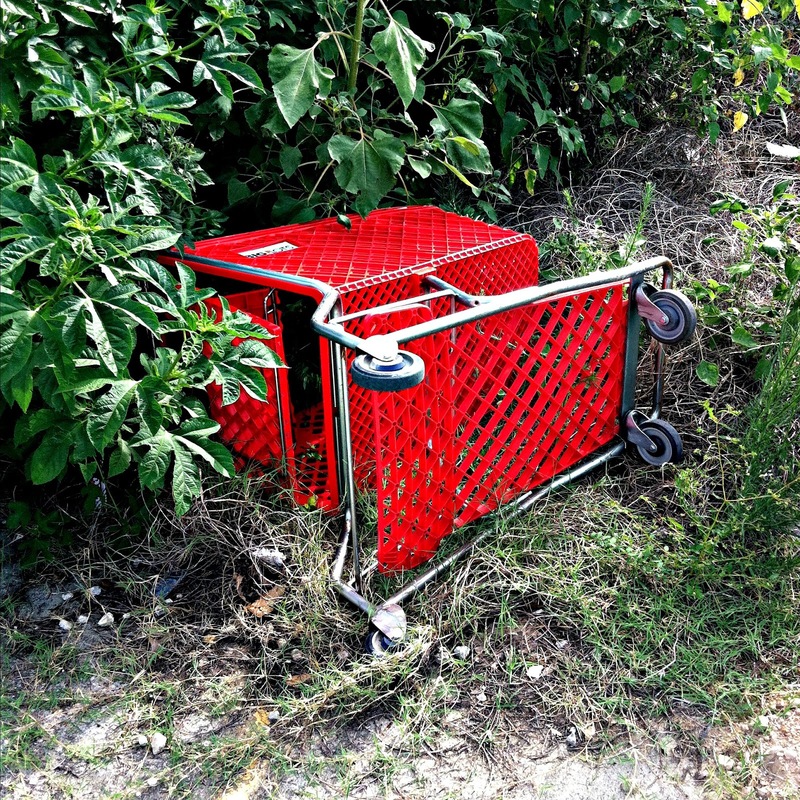 Others have captured the Secret Lives of California's Shopping Carts, as if they socialites being followed by the paparazzi, caught up in different acts. 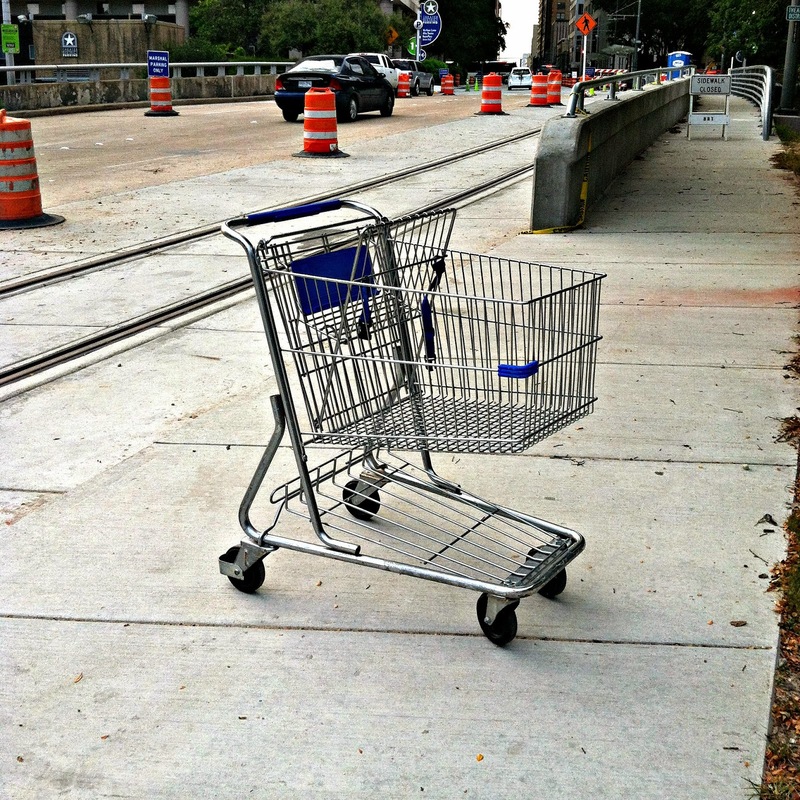 And still, others have "cart-sourced" accounts of miscreant carts. 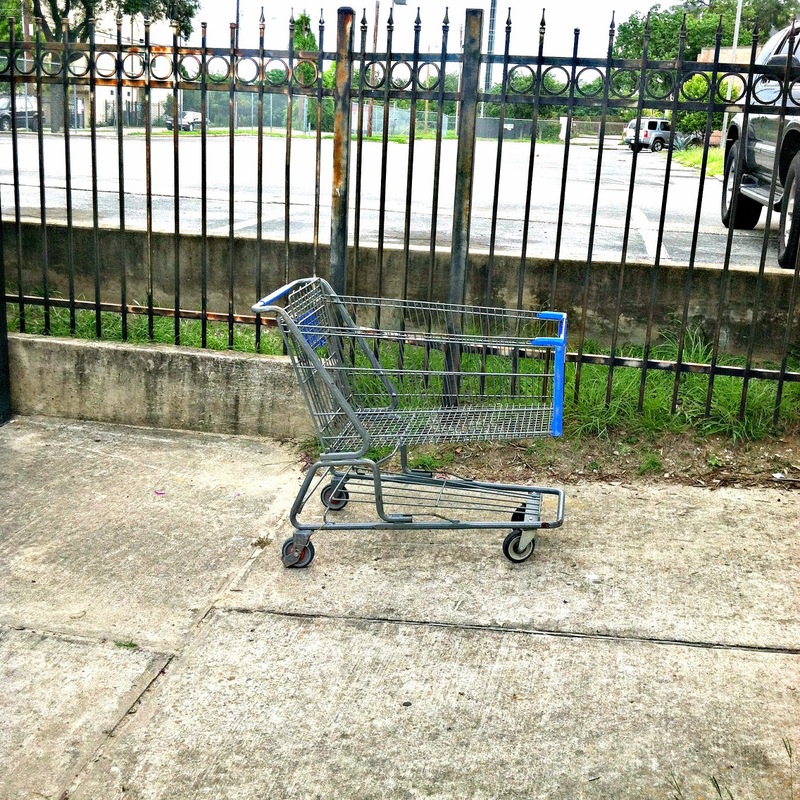 There's even apparently a short film (and, a not-that-well-rated of a short film) made about The Secret Lives of Shopping Carts, chronicling the account of a "loner shopping cart who arrives at a new store and stirs up trouble with other shopping carts." 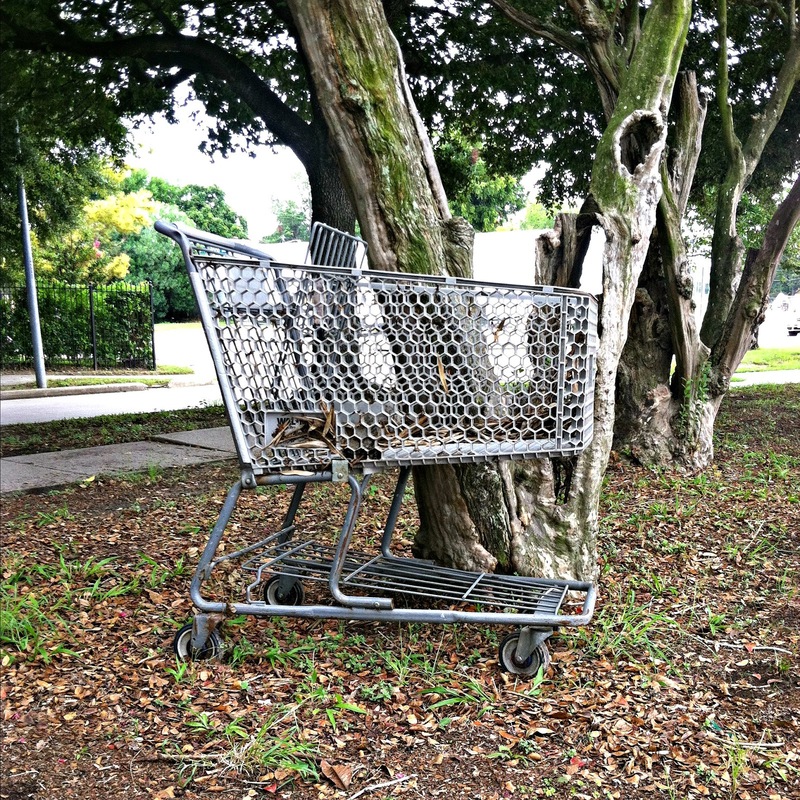 When talking of abandoned shopping carts nowadays, it's usually business analysts referring to abandoned online purchases that don't make it out of your shopping cart and to your mailbox or front porch. 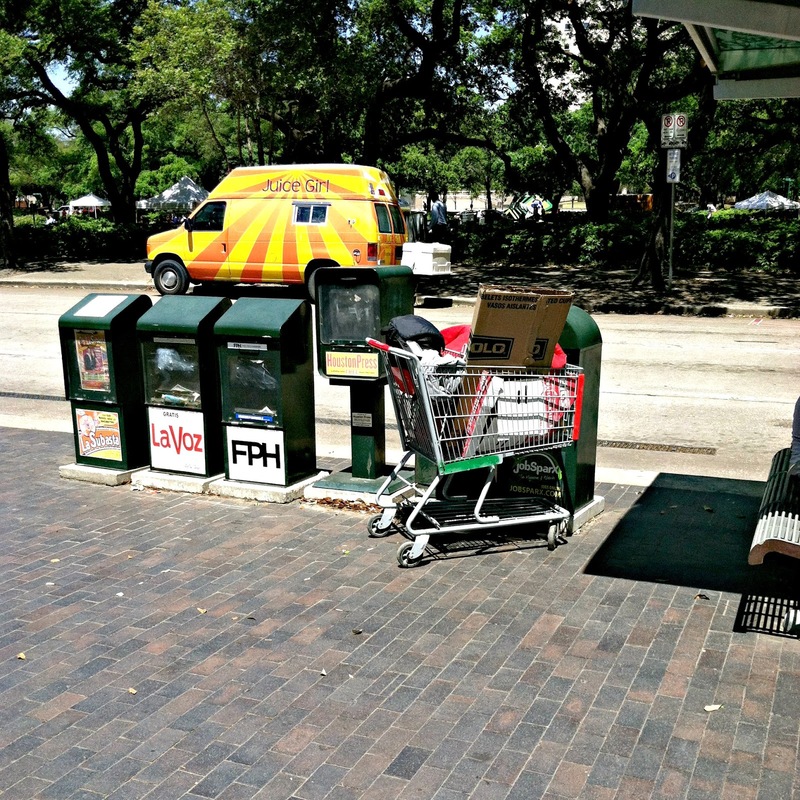 But the physical shopping cart is still something that retailers need, and they cost retailers quite a bit. 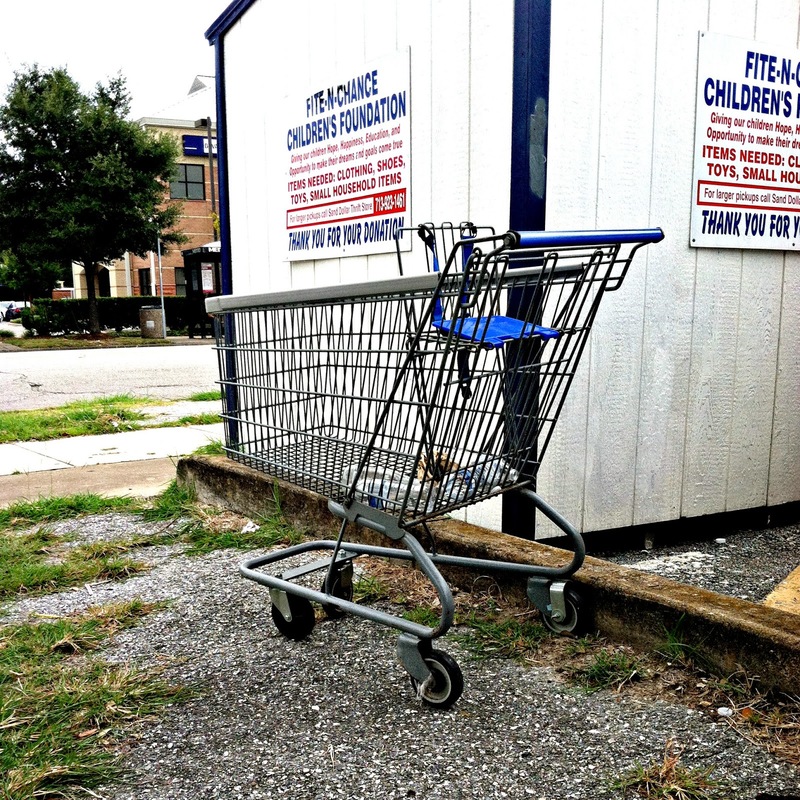 Shopping carts aren't cheap, and typically cost just over $100. 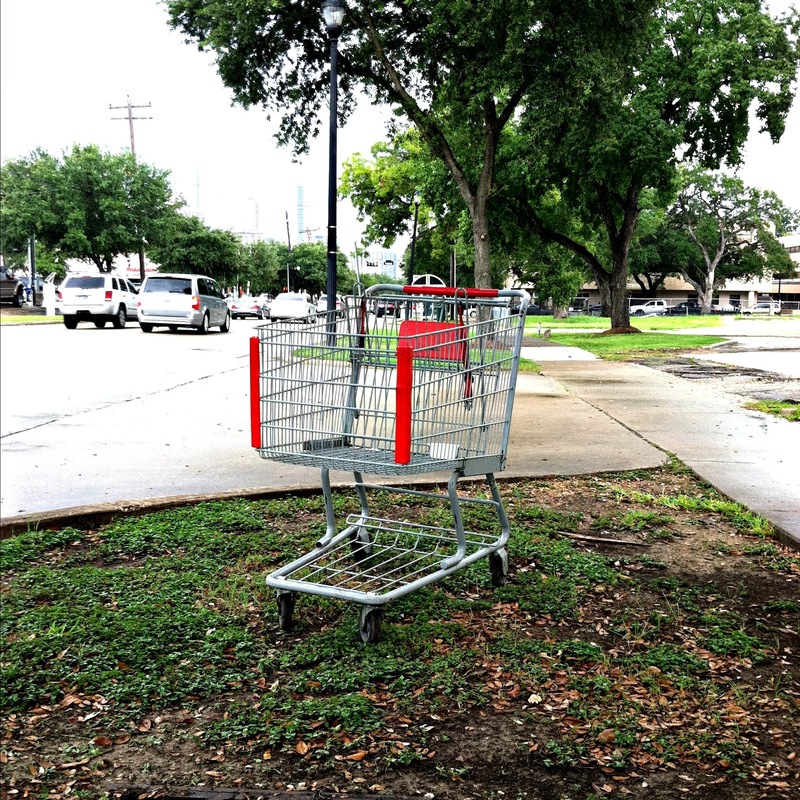 According to a Houston Chronicle article from 2002 grocers like HEB spend millions of dollars annually to replace missing carts, passing those costs to the consumers. 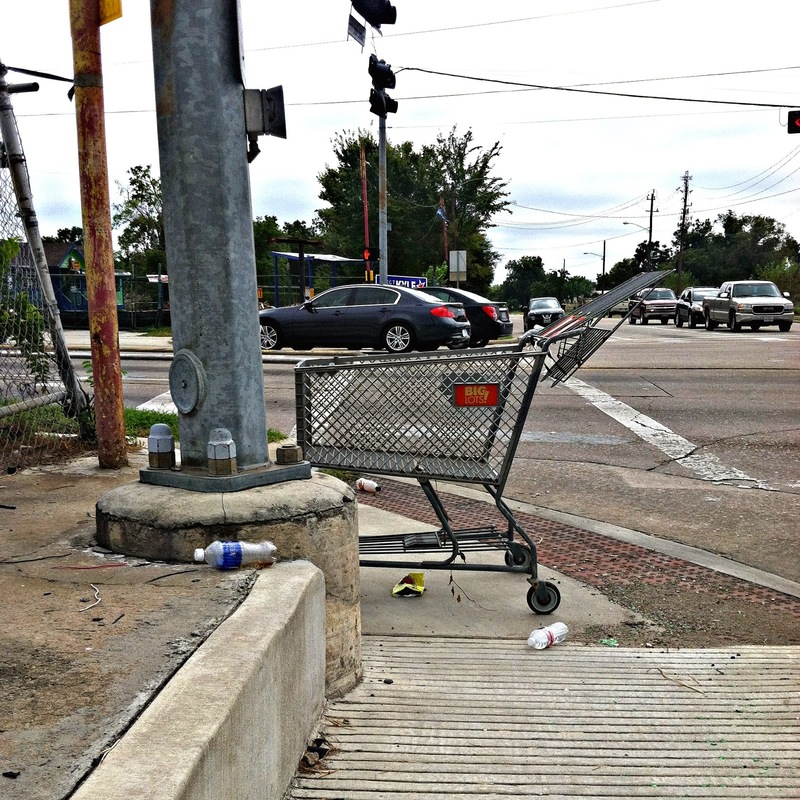 ABC 13 reported in 2008 that HEB spends about $300,000 annually to replace carts at its Houston area stores alone. 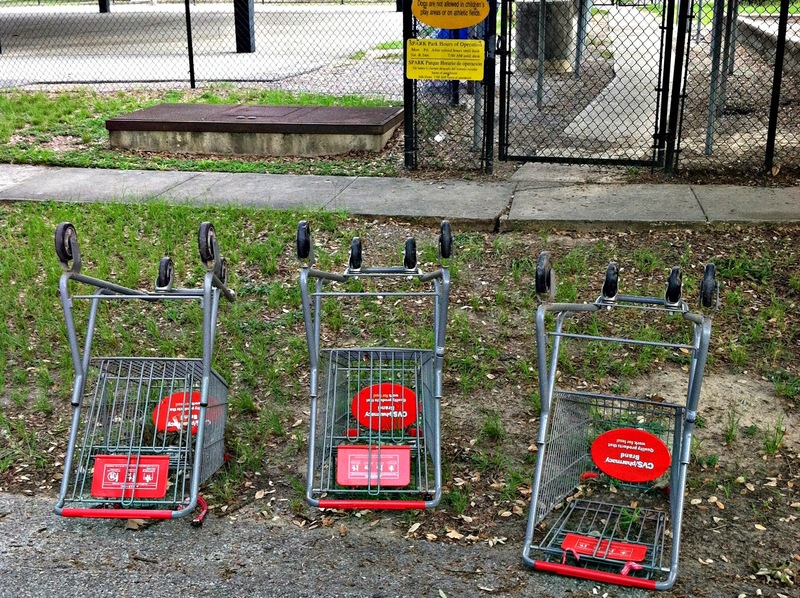 That would mean that on average about 3,000 carts per year are replaced at Houston area HEB stores alone, and the number has probably grown since that time with the addition of new stores. To combat these costs, the Aldi grocery chain charges a modest 25 cents for rental, with your refund after you return the cart. 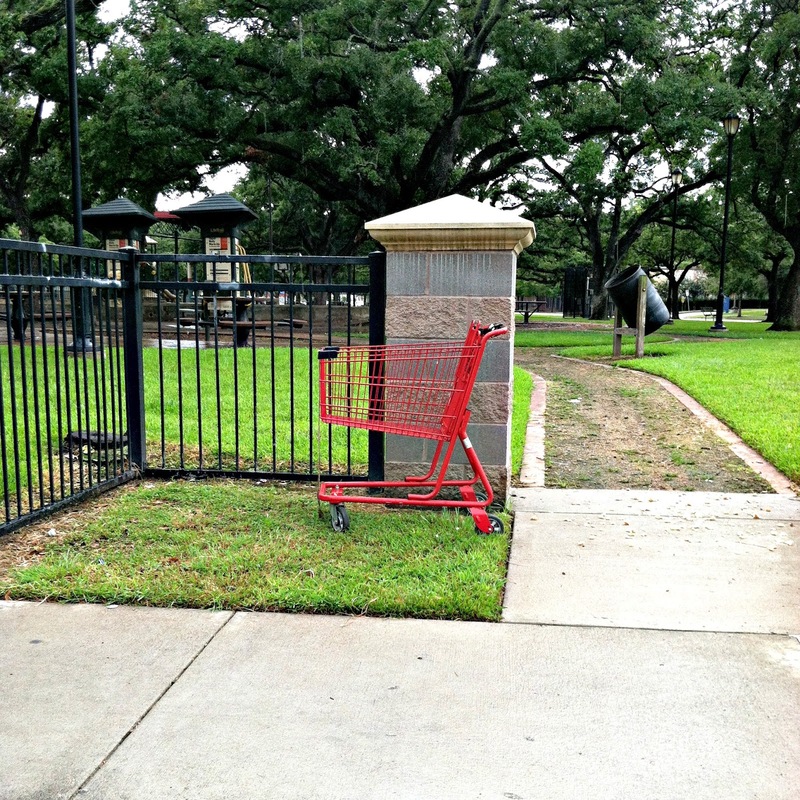 Other retailers have taken advantage of carts with electronic wheel locking technology, like those seen at Houston-area HEB and Kroger stores. 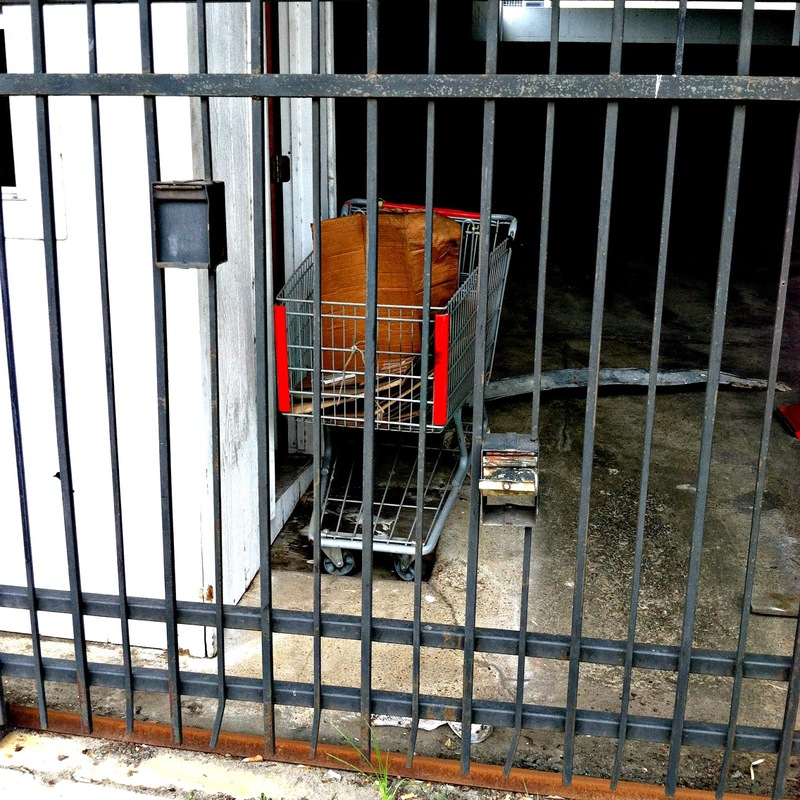 Other stores employ security guards, or use alarm systems, magnet strips or vertical poles attached to the side of their carts, in order to prevent theft. 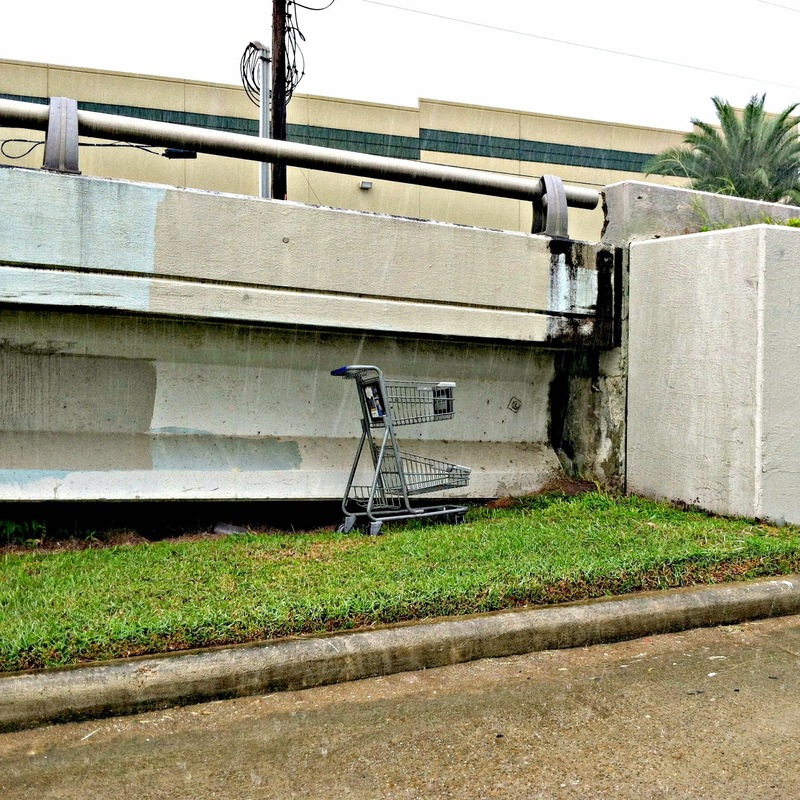 Houston doesn't have much on the books legally regarding shopping carts as some Western US cities, like Riverside, California. 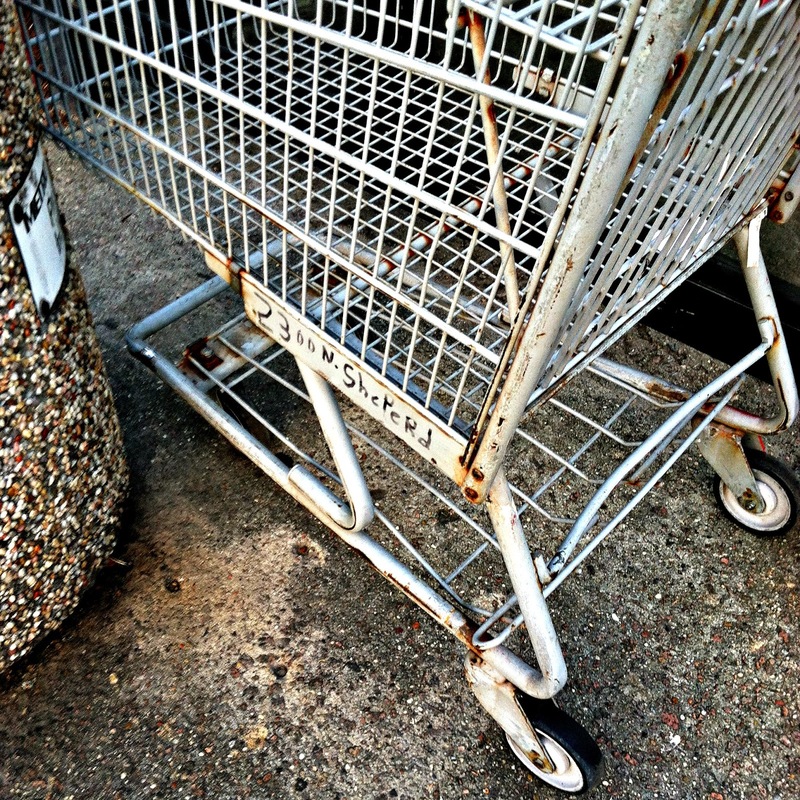 Even states, like Oregon, have gotten tough on enforcement and fines for abandoned carts. 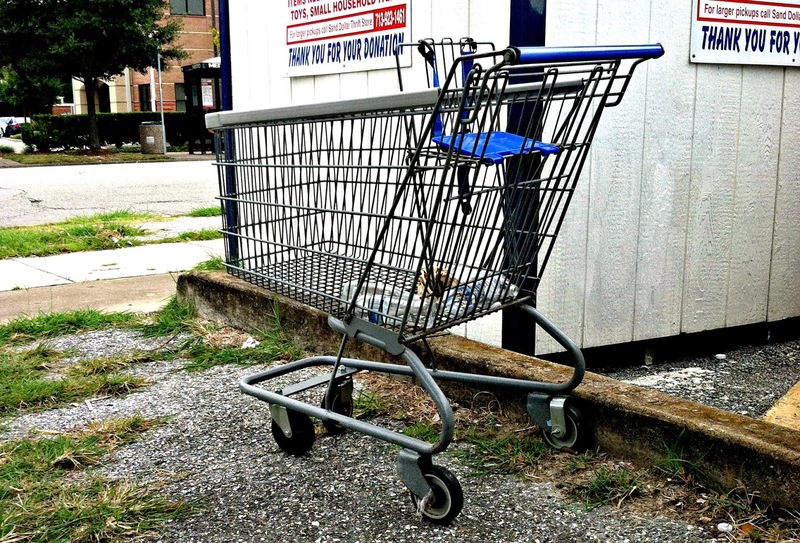 It's estimated that over 200 municipalities have passed ordinances requiring retailers to take some form of control over their shopping cart stock. 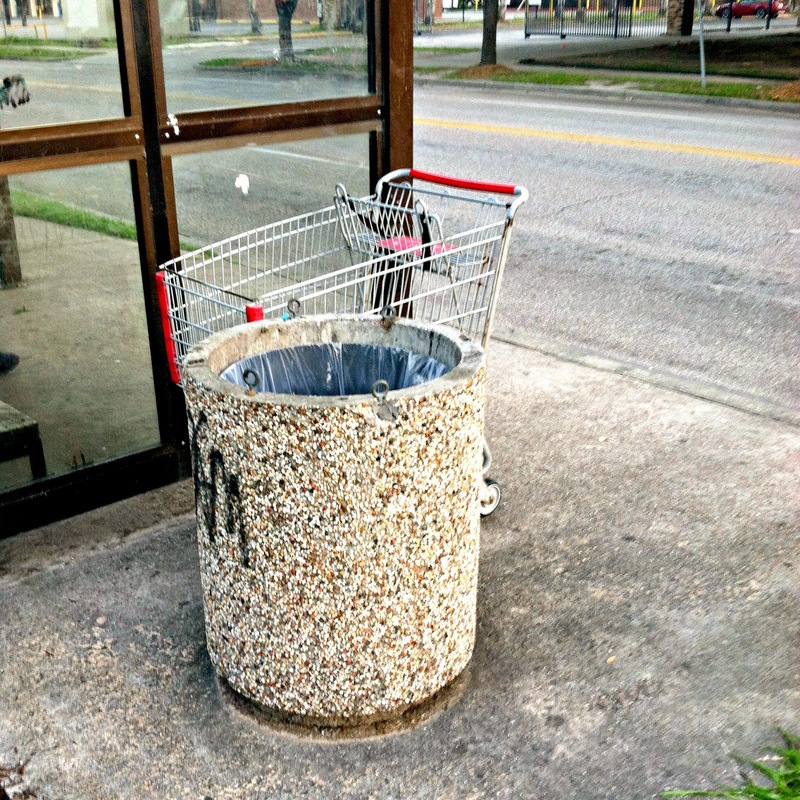 Houston's city code has only one provision for shopping carts located in regulations for scrap metal recyclers and secondhand metal dealers, in that "It shall be unlawful for any metal recycler/secondhand metal dealer or secondhand reseller, his agents or employees to purchase or receive an item of property that is transported to the metal recycler/secondhand metal dealer or secondhand reseller(s) place of business by a shopping cart that is marked with any form of the name or initials of a private company..."
So, especially for the homeless who often use shopping carts to collect metal scraps or simply transport their belongings, using a shopping cart to deliver metal scraps would be illegal, unless people delivering scraps or pushing a cart are able to produce documentation showing proper ownership. 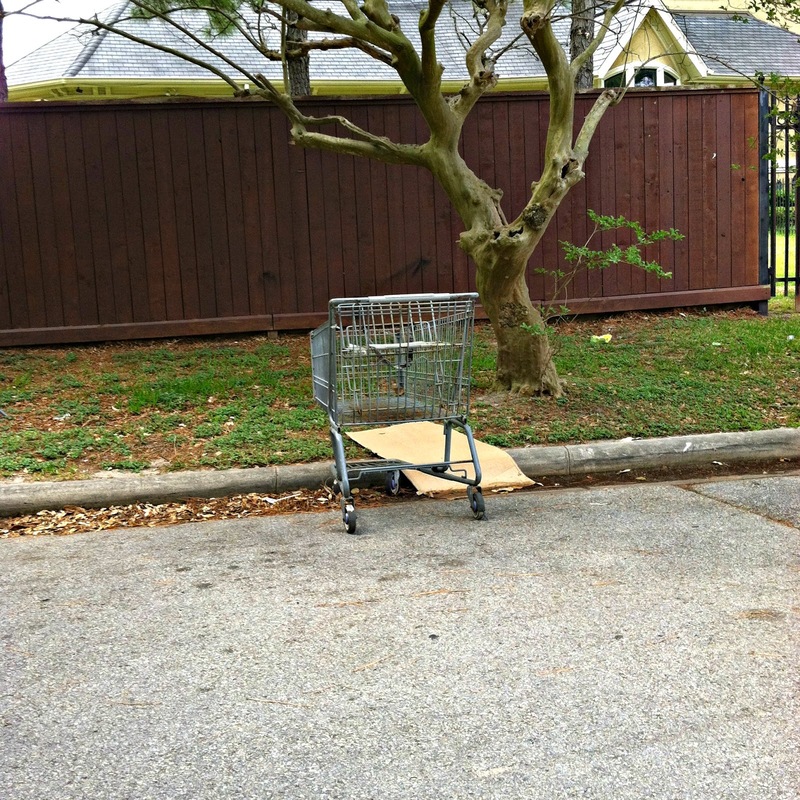 (Or if the cart has no recognizable logos, or a scrap company just turns a blind eye.) 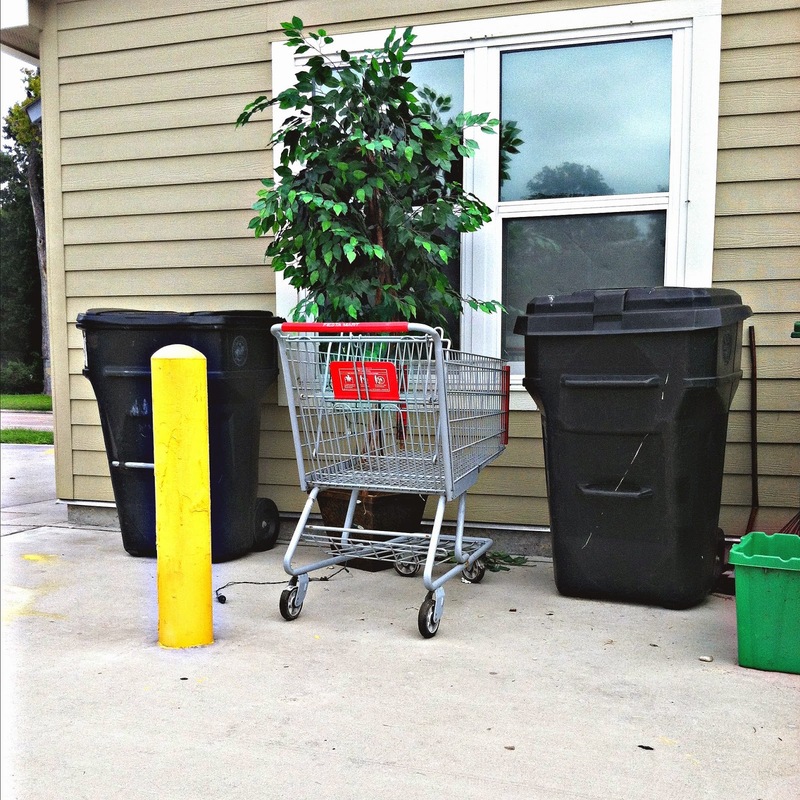 This is a small economic deterrent to shopping cart theft, and one that is probably overlooked by many recycling agents. Houston Police have tried to ticket offenders in the past. 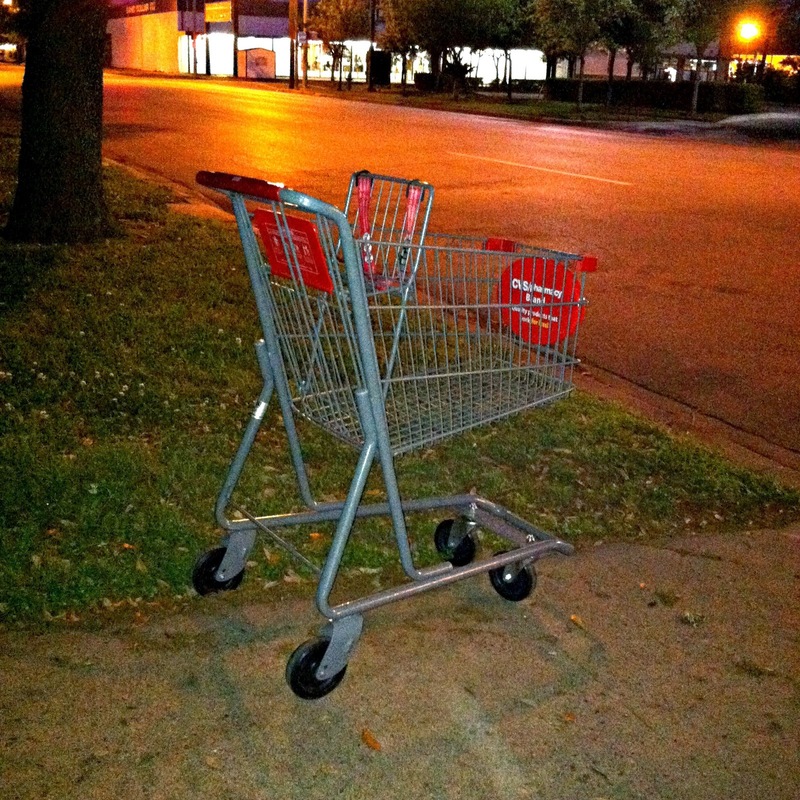 Police said that carts have been used to roll away things like copper wiring and piping. 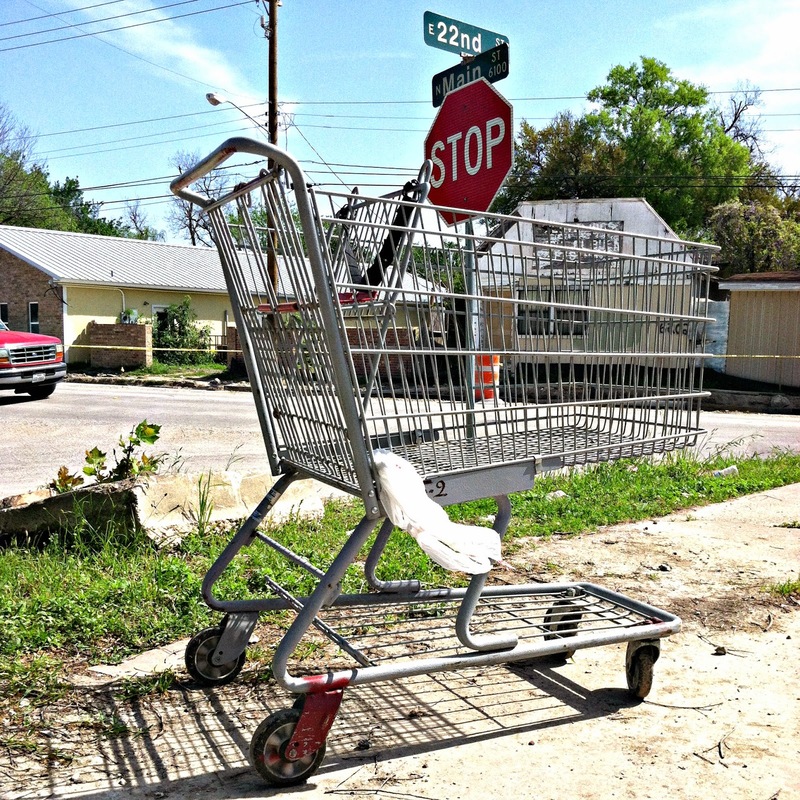 In western US states, some cities utilize the services of companies like OT Cart Service in Arizona, or the California Shopping Cart Retrieval Corporation, which operates in California and Nevada. 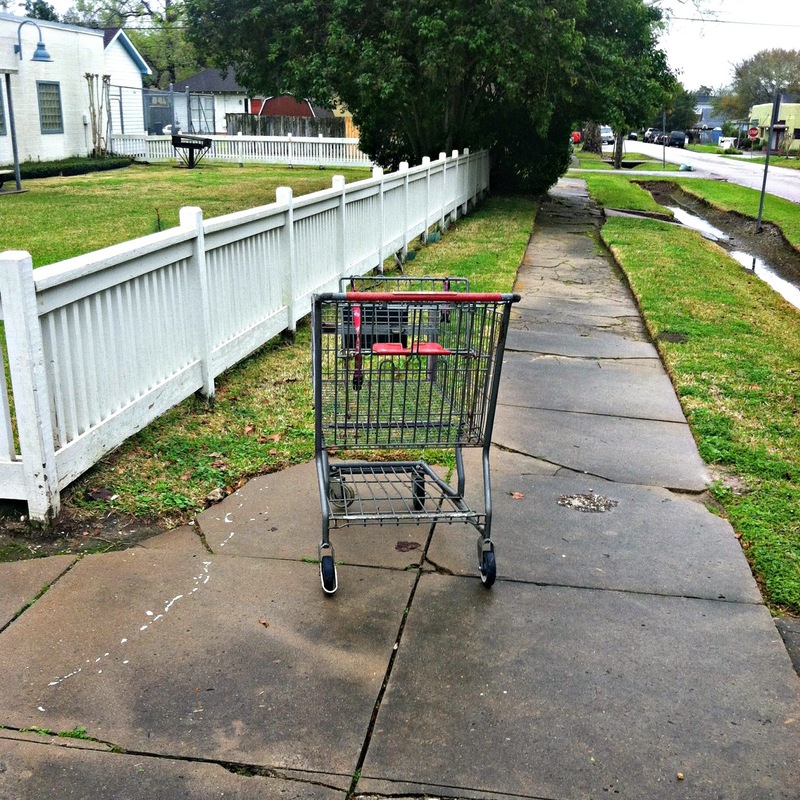 They will work on loss prevention approaches to minimize the number of carts being stolen or retrieve carts for stores from city streets. 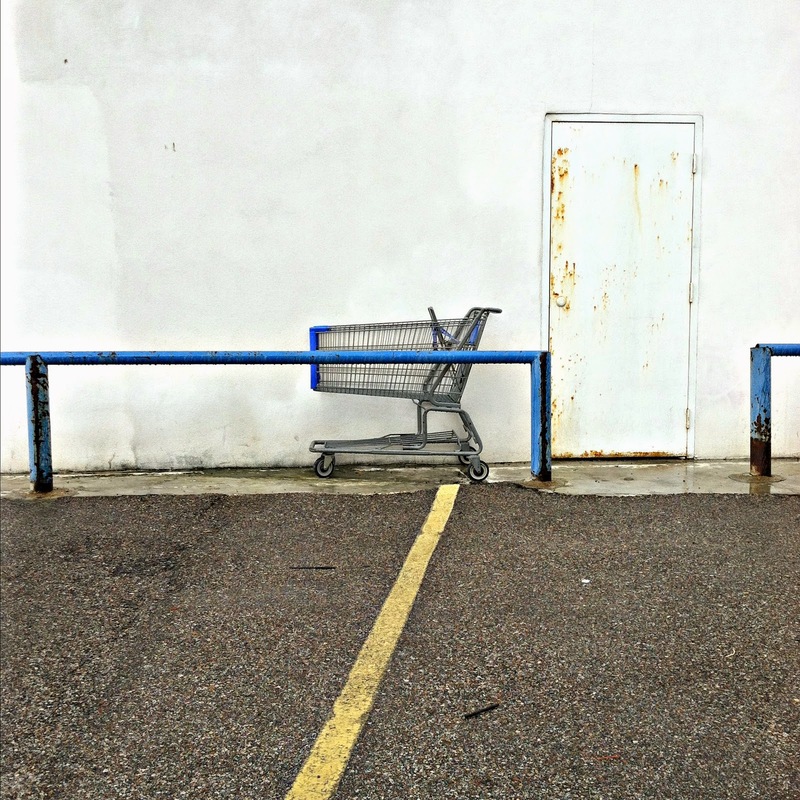 Other approaches include equipping carts with radio frequency identification, allowing grocers to track carts within a radius of their property. 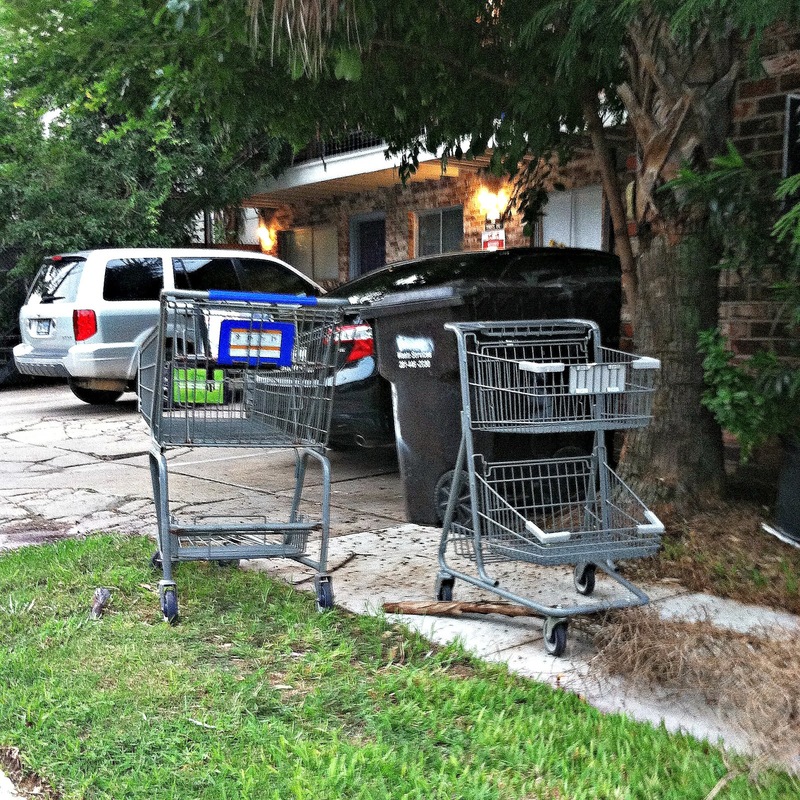 Here in Houston, no such operations exist, however, it is rumored that the Fiesta grocery chain actively retrieves carts in neighborhoods surrounding their stores. 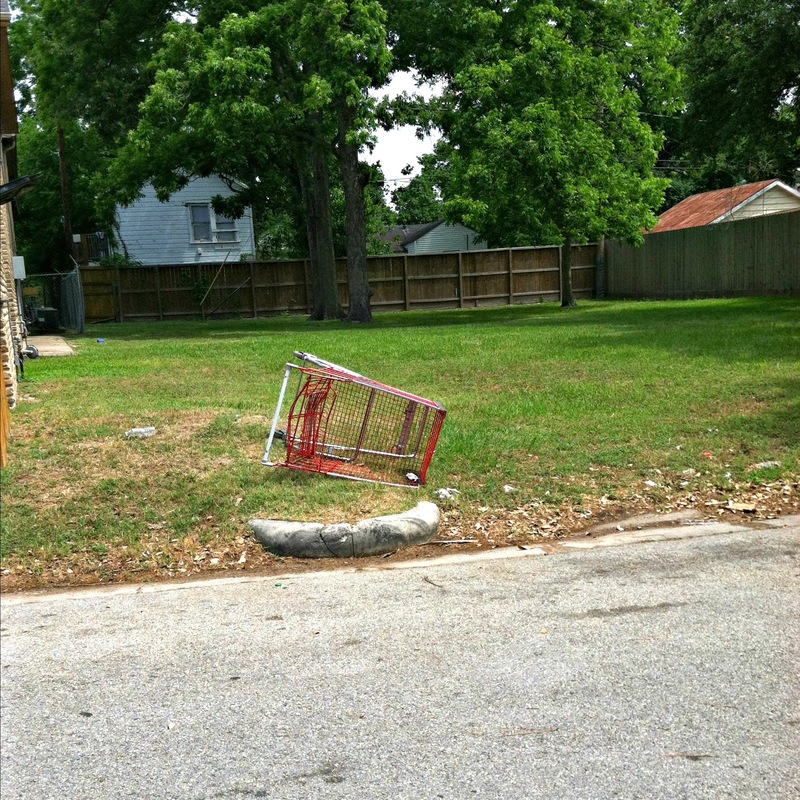 Even with all these measures, shopping carts get away, and you can find them all over town in many different landscapes. 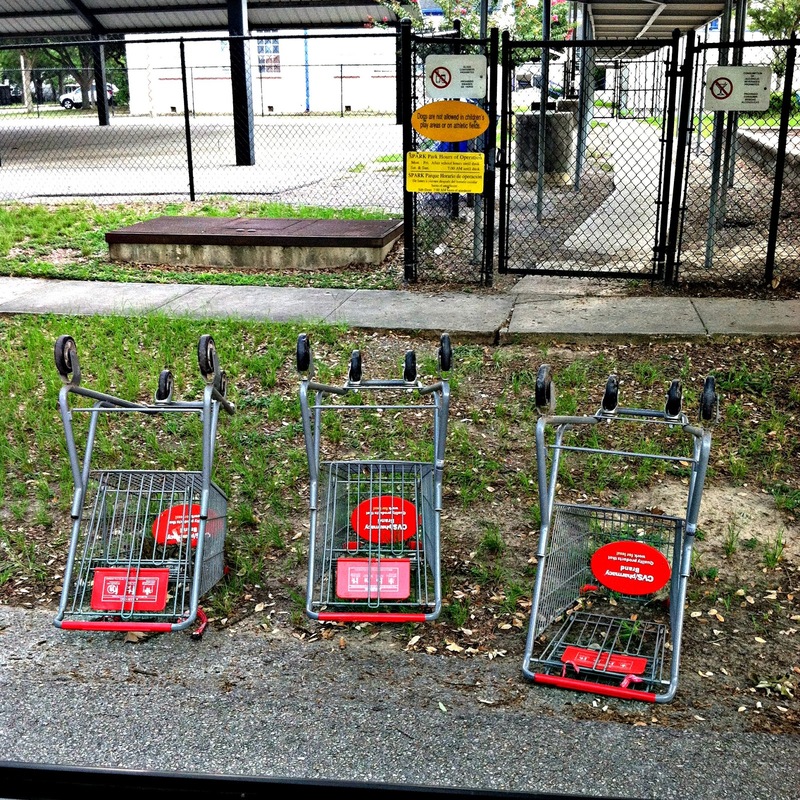 Over the last 6 months I've captured a good number of carts. Most have some from my cell phone, so excuse the lack of quality in some captures. 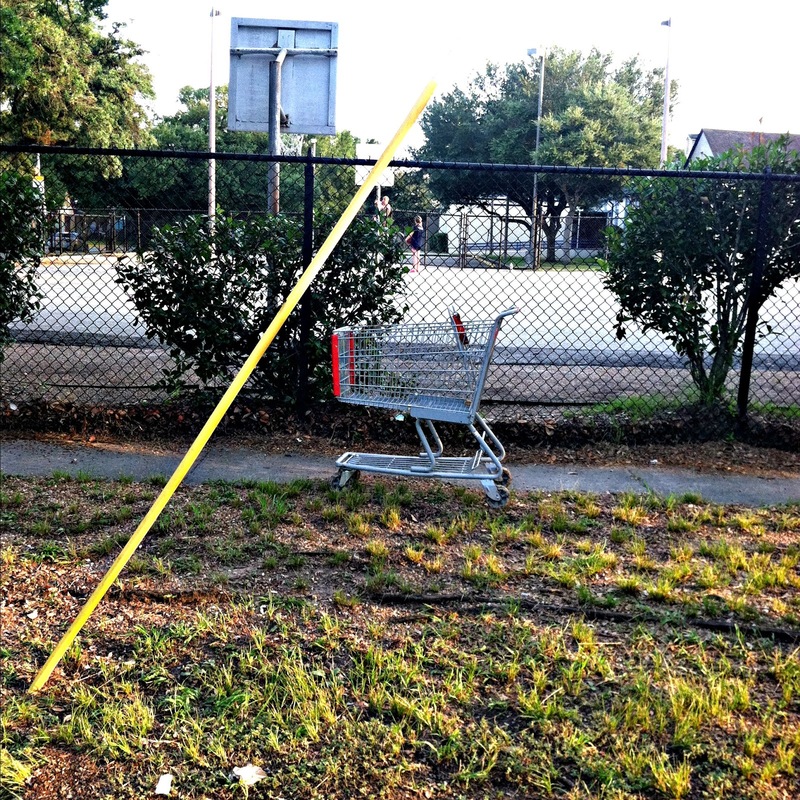 Here's a look into the secret lives of Houston's shopping carts. A long, long way from home. Everything's great when you're Downtown. Thrown out of the playground. 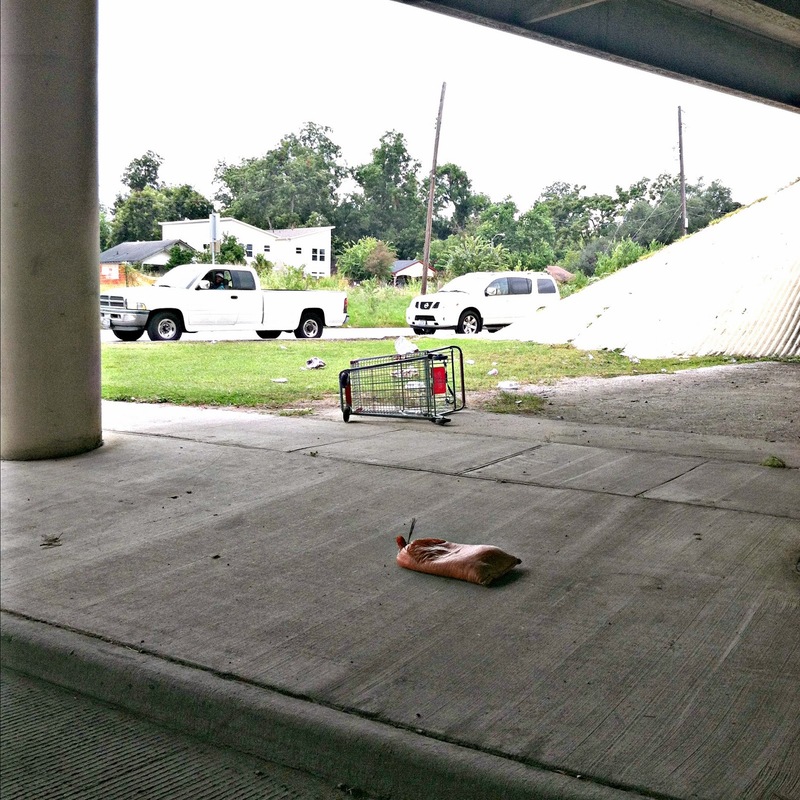 Laying down under the overpass. 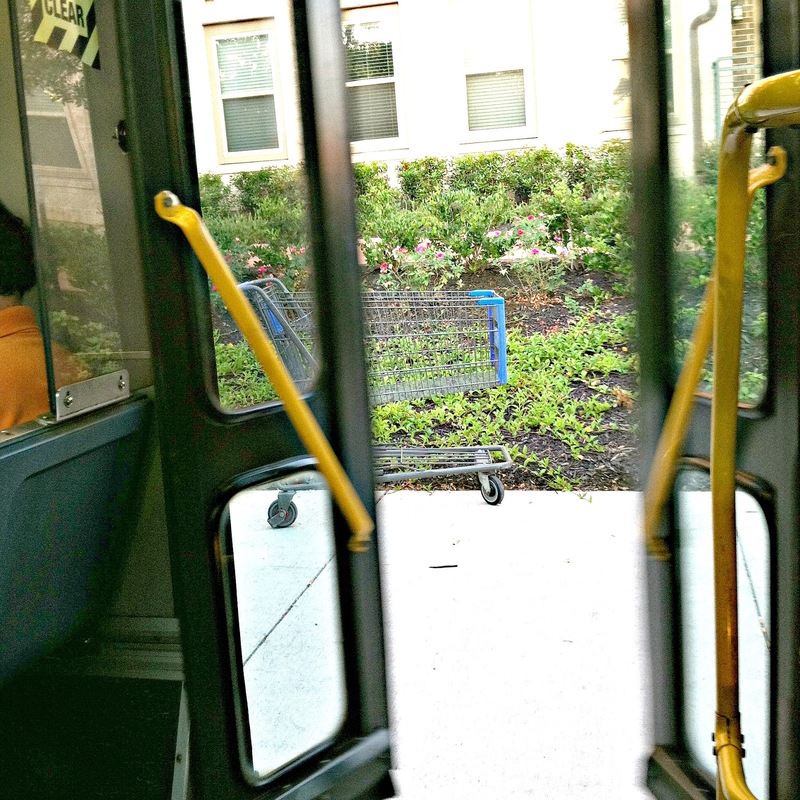 Passing one another on the sidewalk. Checking out the weekly periodicals. 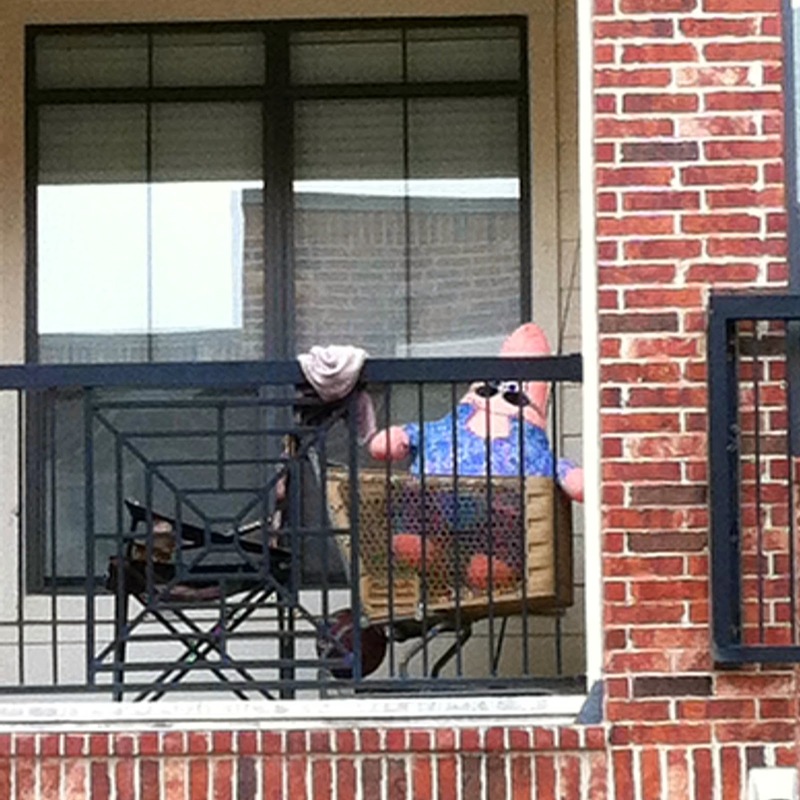 Chillin' on Patrick's patio in Midtown. Hanging out behind the bushes. Supermarket in Dubai Major thanks for the blog article.Really thank you! Much obliged.